Berkshire 43 log cabin - New! and in UK stock for quick FREE delivery! 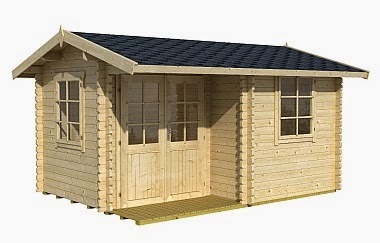 The Berkshire 43 log cabin is new to our range this week and is in UK stock for quick Free delivery. Available as a self build kit or can be installed by one of our skilled teams. We are taking bookings for installation in June as of this week so if you are in a hurry why not tackle a great DIY project!